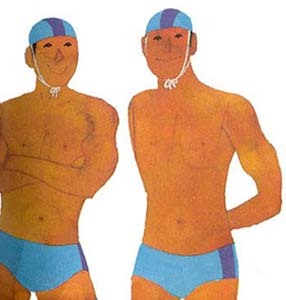 Walk into any bookstore and ask for a children’s travel book and more than likely you will be recommended a title by Miroslav Sasek. Ordinarily you wouldn’t rely on a travel book written in the 1960s; however Sasek’s glorious illustrations and bite-sized vignettes capture cities and countries perfectly for children. Born in Prague, Sasek was inspired to create his first children’s travel guide after a holiday in Paris. This is Paris was published in 1958 and the bold illustrations coupled with text that was both amusing and full of interesting facts, was an instant hit. More than a dozen titles followed and Sasek took children on fabulous journeys to Greece, Venice, Israel, Hong Kong and more. 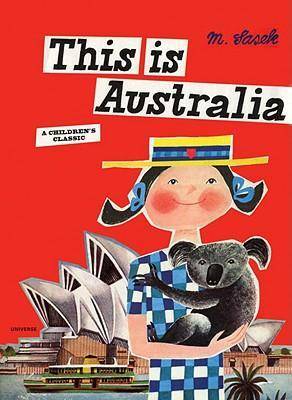 This is Australia was first published in 1970 and re-released in September 2009. Like all Sasek titles, it captures the big picture (“The sail shaped Opera House in the harbour, designed by the Danish architect Joern Utzon, has six performance areas…”) as well as the charming details – “Every scenic place in the vicinity of Canberra has a picnic area with gas barbecue pits for weekenders” and “Australia is…where Christmas is a summer holiday.” This is Australia also showcases Sasek’s beautiful illustrations from a close-up of ‘Ayers Rock’ to simple, mosaic like cityscapes. The publisher of Sasek’s books has included an unobtrusive yet helpful ‘update’ on the destinations as they are today yet surprisingly much of the information in the original books is as accurate and as relevant now as it was in the 1960s and 1970s. If you are heading overseas with children it is well worth including Sasek in your travel preparations! Titles are $34.99 each and are available through Fishpond.